Explorer John Wesley Powell was the first white man to float the Colorado River through the Grand Canyon over 100 years ago. He's featured in a new book by Christa Sadler. She spoke with KDNK's Amy Hadden Marsh last week. Sadler talks about her book in Aspen Wednesday at 6 PM at the Pitkin County Commissioners room and at the Third Street Center Thursday at 6 PM. Both events are free. You can listen to the entire conversation by clicking here. 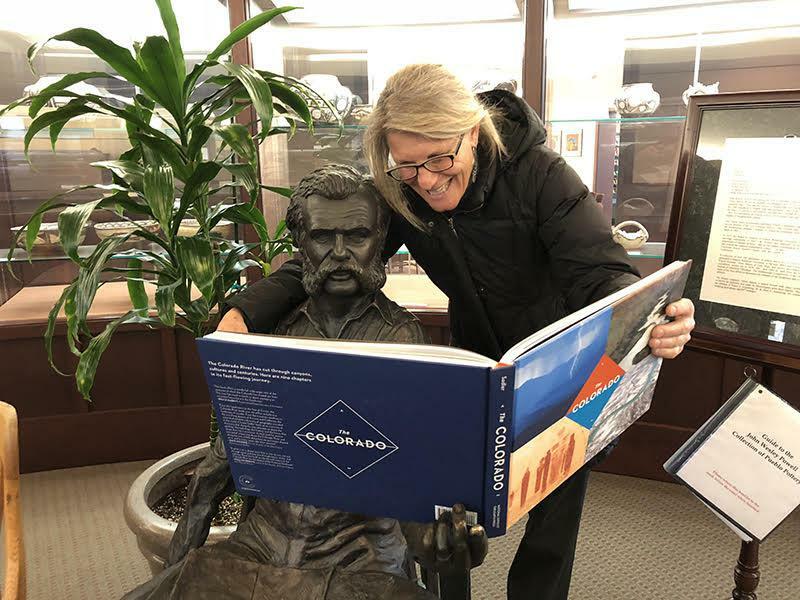 Explorer John Wesley Powell approves Christa Sadler's new book, The Colorado.